Junichi Asama, Takumi Oi, Takaaki Oiwa, and Akira Chiba, “Simple Driving Method for a Two-DOF Controlled Bearingless Motor Using One Three-Phase Inverter”, IEEE Transactions on Industry Applications (early access). J. Asama, T. Oiwa, T. Shinshi, and A. Chiba, “Experimental Evaluation for Core Loss Reduction of a Consequent-Pole Bearingless Disk Motor Using Soft Magnetic Composites”, IEEE Transactions on Energy Conversion, Vol. 33, Issue 1, pp. 324-332, 2018. J. Asama, Y. Fujii, T. Oiwa, and A. Chiba, “Novel Control Method for Magnetic Suspension and Motor Drive with One Three-Phase Voltage Source Inverter Using Zero-Phase Current”, Mechanical Engineering Journal (日本機械学会英文誌), Vol. 2, No. 4, paper No. 15-00116, 2015. J. Asama, D. Kanehara, T. Oiwa, and A. Chiba, “Development of a Compact Centrifugal Pump with a Two-Axis Actively Positioned Consequent-Pole Bearingless Motor”, IEEE Transactions on Industry Applications, Vol. 50, No. 1, pp. 288-295, 2014. J. Asama, D. Kanehara, T. Oiwa, and A. Chiba, “Suspension Performance of a Two-Axis Actively Regulated Consequent-Pole Bearingless Motor”, IEEE Transactions on Energy Conversion, Vol. 28, No. 4, pp. 894 – 901, 2013. 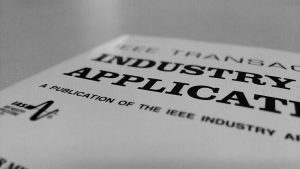 J. Asama, Y. Hamasaki, T. Oiwa, and A. Chiba, “Proposal and Analysis of a Novel Single-drive Bearingless Motor”, IEEE Transactions on Industrial Electronics, Vol. 60, No. 1, pp. 129-138, 2013. J. Asama, R. Natsume, H. Fukuhara, T. Oiwa, and A. Chiba, “Optimal Suspension Winding Configuration in a Homo-polar Bearingless Motor”, IEEE Transactions on Magnetics, Vol. 48, Issue 11, pp. 2973-2976 , 2012. J. Asama, R. Kawata, T. Tamura, T. Oiwa, and A. Chiba, “Reduction of Force Interference and Performance Improvement of a Consequent-Pole Bearingless Motor”, Precision Engineering (精密工学会，米国精密工学会，欧州精密工学会の共同英文誌), Vol. 36, Issue 1, pp. 10-18, January 2012. J. Asama, R. Nakamura, H. Sugimoto, and A. Chiba, “Evaluation of Magnetic Suspension Performance in a Multi-Consequent-Pole Bearingless Motor”, IEEE Transactions on Magnetics, Vol. 47, No. 10, pp. 4262 – 4265, October 2011. J. Asama, T. Asami, T. Imakawa, A. Chiba, A. Nakajima, and M. A. Rahman, “Effects of Permanent-Magnet Passive-Magnetic-Bearing on a 2-axis Actively Regulated Low-Speed Bearingless Motor”, IEEE Transactions on Energy Conversion, Vol. 26, No. 1, pp. 46-54, March 2011. J. Asama, M. Amada, N. Tanabe, N. Miyamoto, A. Chiba, S. Iwasaki, M. Takemoto, T. Fukao, and M. A. Rahman, “Evaluation of a Bearingless PM Motor with Wide Magnetic Gaps”, IEEE Transactions on Energy Conversion, Vol. 25, No. 4, pp. 957-964, December 2010. Y. Asano, A. Mizuguchi, M. Amada, J. Asama, A. Chiba, M. Ooshima, M. Takemoto, T. Fukao, O. Ichikawa, and D. G. Dorrell, “Development of a 4-axis Actively Controlled Consequent-Pole Type Bearingless Motor” IEEE Transactions on Industry Applications, Vol. 45, Issue 4, pp. 1378-1386, July/August 2009. M. Amada, N. Miyamoto, T. Enomoto, N. Tanabe, J. Asama, A. Chiba, T. Fukao, S. Iwasaki, M. Takemoto, “A Case Study of Suspension Characteristics of a Bearingless Motor Supplied by Inverters Having Different Voltage and Current Ratings”, Journal of System Design and Dynamics (日本機械学会英文誌), Vol. 3, No. 4, pp. 506-518, 2009. J. Asama, M. Amada, A. Chiba, M. Takemoto, T. Fukao, and M. A. Rahman, “Voltage Characteristics of a Consequent-pole Bearingless PM Motor with Concentrated Windings”, IEEE Transactions on Magnetics, Vol. 45, Issue 6, pp. 2823-2826, June 2009. H. Sugimoto, K. Kamiya, R. Nakamura, J. Asama, A. Chiba, T. Fukao, and D. G. Dorrell, “Design and Basic Characteristics of Multi-Consequent-pole Bearingless Motor with bi-tooth Main Poles”, IEEE Transactions on Magnetics, Vol. 45, Issue 6, pp. 2795-2798, June 2009. N. Miyamoto, T. Enomoto, J. Asama, A. Chiba, T. Fukao, S. Iwasaki, and M. Takemoto, “Suspension Characteristics of a Wide Gap Bearingless Motor with Cylindrical Rotor”, IEEE Transactions on Magnetics, Vol. 45, Issue 6, pp. 2791-2794, June 2009. T. Yamada, Y. Nakano, J. Asama, A. Chiba, T. Fukao, T. Hoshino, and A. Nakajima, “Outer Rotor Consequent-pole Bearingless Motor with Improved Start-up Characteristics”, IEEE Transactions on Magnetics, Vol. 44, No. 11, Part 2, 2008, pp. 4273 – 4276. J. Asama, T. Shinshi, H. Hoshi, S. Takatani, and A. Shimokohbe, “Dynamic Characteristics of a Magnetically Levitated Impeller in a Centrifugal Blood Pump”, Artificial Organs, Vol. 31, No. 4, 2007, pp.301-311. H. Hoshi, J. Asama, W. Hijikata, C. Hara, T. Shinshi, T. Yasuda, K. Ohuchi, A. Shimokohbe, and S. Takatani, “Hemolytic Performance of a MagLev Disposable Rotary Blood Pump (MedTech Dispo): Effects of MagLev Gap Clearance and Surface Roughness”, Artificial Organs, Vol. 30, No. 12, 2006, pp.949-954. H. Hoshi, J. Asama, C. Hara, W. Hijikata, T. Shinshi, A. Shimokohbe, and S. Takatani, “Detection of LV Function from the Mag-Lev Impeller Behavior”, Artificial Organs, Vol. 30, No. 5, 2006, pp.377-383. J. Asama, T. Shinshi, H. Hoshi, S. Takatani, and A. Shimokohbe, “A Compact Highly Efficient and Low Hemolytic Centrifugal Blood Pump with a Magnetically Levitated Impeller”, Artificial Organs, Vol. 30, No. 3, 2006, pp.160-167. H. Hoshi, J. Asama, T. Shinshi, K. Ohuchi, M. Nakamura, T. Mizuno, H. Arai, A. Shimokohbe, and S. Takatani, “Disposable Magnetically Levitated Centrifugal Blood Pump: Design and In Vitro Performance”, Artificial Organs, Vol. 29, No. 7, 2005, pp.520-526. H. Hoshi, T. Yasuda, H. Kataoka, K. Ohuchi, J. Asama, T. Shinshi, A. Shimokohbe, and S. Takatani, “Magnetically Suspended Centrifugal Blood Pump with a Radial Magnetic Driver”, ASAIO Journal, Vol. 51, No. 1, 2005, pp.60-64. J. Asama, T. Shinshi, H. Hoshi, S. Takatani, and A. Shimokohbe, “A New Design for a Compact Centrifugal Blood Pump with a Magnetically Levitated Rotor”, ASAIO Journal, Vol. 50, No. 6, 2004, pp.550-556.